'What house can I beat up today?'" ... that's a James Hardie quote! If you live in the deep South OR the true North, you can relate. James Hardie Siding is the overwhelming choice of many homeowners, builders and architects across the U.S. James Hardie fiber-cement siding is unmatched for its weather resistance, toughness and natural beauty - it maintains the look and feel of real wood., yet requires minimal maintenance effort and cost. How does James Hardie Siding compare to vinyl and other siding alternatives? Vinyl will melt or burn when exposed to a significant source of heat or flame. James Hardie siding is flame resistant. Traditional wood siding is strong, but it is greatly affected by moisture. Moisture causes traditional wood siding to shrink and swell, which causes paint to crack and flake off. James Hardie resists shrinking and swelling, allowing it to hold paint much longer than traditional wood siding. Your home will look great longer, and more importantly, it will resist all environmental elements for years. 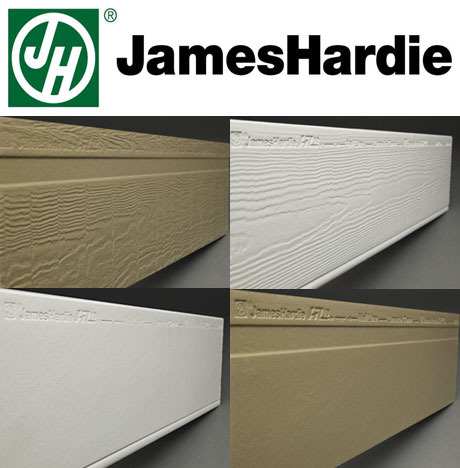 Click here to visit the James Hardie website for more information.